Multimedia – combining more than one type of media together, whether it’s text, images, audio, video or animation – is an increasingly popular online marketing tool. Companies use it in the hopes of attracting more traffic, viewers and, ultimately, customers and clients. But if multimedia isn’t accessible to people with disabilities, then it’s having the opposite effect. It’s turning away all those people who can’t see, hear, understand or interact with it. 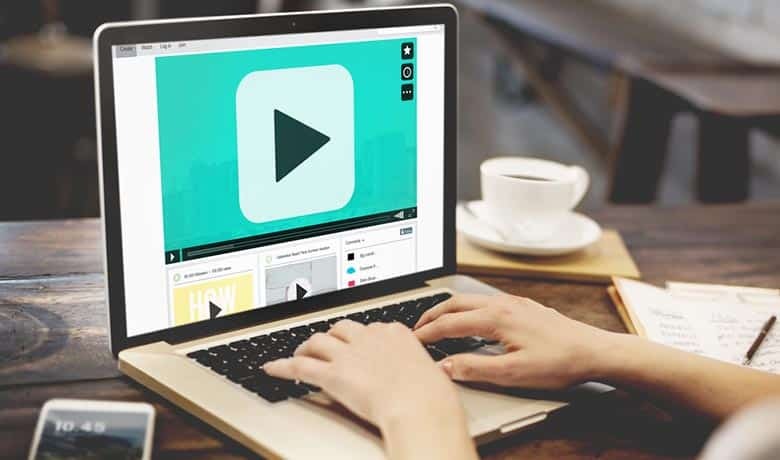 According to a survey by Wyzowl, a company that produces “explainer” marketing videos, about four-fifths of businesses (81%) now use video as a tool for marketing1. That’s an impressive jump from 63% just one year ago. The majority of businesses surveyed expect video to provide a solid return on their investment. Most businesses also plan to spend the same or even more on video marketing over the next year. It’s easy to understand why. Videos and other compelling multimedia such as infographics and animations can be easily posted and shared on social media. Plus, organizations are well aware that they have mere seconds to hold users’ attention, as these visitors quickly decide whether to stay on a site or head somewhere else. What organizations may not realize, however, is that about one in five Americans has some kind of disability. And if multimedia contains sounds these individuals can’t hear, or images they can’t see, then the chances they’ll stay on a site are dramatically reduced. Does that mean you shouldn’t be integrating multimedia into your marketing or information materials? Not at all. Instead, you should be expanding the reach of your multimedia to everyone – with and without disabilities – by making it as accessible as possible. If you ensure that it meets the technical requirements of the Web Content Accessibility Guidelines (WCAG) 2.1, then you’ll know you’re engaging 100 percent of your audience, not just part of it. Learn more about 21st Century Communications and Video Accessibility (CVAA) compliance. 1. Check for keyboard traps. Often when videos are embedded into a website it can create a trap that does not allow the individual browsing the site using keyboard only interactions to escape the video and get back to the website. You can check to ensure this doesn’t happen by using the keyboard to tab to the video and its controls, and then back to the website. 2. Not all video players are created equally. Ensure you’re using an accessible video player that can be used by various individuals with disabilities. For example, are all the buttons coded to know what ‘play,’ ‘pause,’ or ‘forward’ are? 3. Make sure never to use automatic captions from applications without proof reading the transcript. Using automatic captions can be dangerous and costly, and not proof reading could convey a very different message than intended. Captioning is text that corresponds to the audio content – including narration, dialogue and any important sounds. The captions are synchronized with the audio, meaning they are displayed at the same time as the audio they correspond to. Captioning and transcripts also help with SEO and are searchable to help individuals with cognitive disabilities. Who it helps: Captioning allows people who are deaf or have hearing loss to understand what is being said or heard in the video. Bonus: Captioning makes a video more understandable for people who don’t speak English fluently. It also displays the spelling of unfamiliar words, such as medical or scientific terms. Audio description, also known as described video, is an audio narration track that describes action, scenes, opening credits and titles, diagrams and other important content that is visually presented. Audio description is inserted during pauses in dialogue or narration, so it doesn’t disrupt the original audio track. Who it helps: Audio description allows people who are blind or have low vision to understand what’s happening in the video when the regular soundtrack doesn’t provide enough information. It can also help people with autism who have difficulty interpreting visual information like facial expressions. Bonus: Audio description allows people to watch a video while they’re multitasking, with their eyes somewhere else. A transcript is a written-out version of an audio file. It contains text for everything that is said or heard, as well as descriptions of on-screen titles and other important visual content. Who it helps: Transcripts allow people with hearing disabilities to understand audio information. It’s also an alternative for people with other kinds of disabilities, such as those who are blind and use screen readers (a type of assistive technology that reads out loud all the text on a screen). Bonus: Transcripts are useful for anyone who wishes to search for something specific without taking the time to watch the entire video or listen to the whole audio clip. A transcript can be linked, so that the user is able to click any point in the transcript and go directly to that point in the video or audio. Transcripts also help people who don’t have the bandwidth available to watch a video. Alternative text, or alt-text, is a word or brief phrase that describes the contents of an image or graphic. Who it helps: Alt-text means that people who have vision disabilities and use screen readers will be able to understand what’s displayed on their computer screen. Bonus: Alt-text, when applied accurately, allows search engines to index the image properly. This means that anyone, with and without disabilities, will be more likely to encounter your website when they’re conducting a related search. Audio control means that if there is any audio playing automatically, the user has an easy way to turn the volume down or pause the audio without having to turn down their system volume. Who it helps: People who have vision disabilities will be able to hear their screen readers properly without the interference of other sounds. Bonus: Audio control is also useful for anyone who finds the sound distracting – or irritating! Multimedia is about making creative and effective use of online technology. By putting these and other digital accessibility solutions into place, your multimedia can be as engaging to people with disabilities as you intend it to be for everyone.